For years I fought my husband on going to this show because I thought it was going to be nothing but trailer after trailer of antique tractor parts. I was wrong, there I said it, he was right! It is a great show with a flea market filled with yes, tractor parts, but also pottery, furniture, etc. etc. I even found a piece of old jewelry, a lovely old pin, which is one of my passions, who knew? We plan to attend this mega show again next year. I will be prepared to shop and look inside the beautiful round barn that sits dead center in the Jay County fairgrounds where the show is held. I learned my lesson about preconceived ideas, I loved the show and you will too! 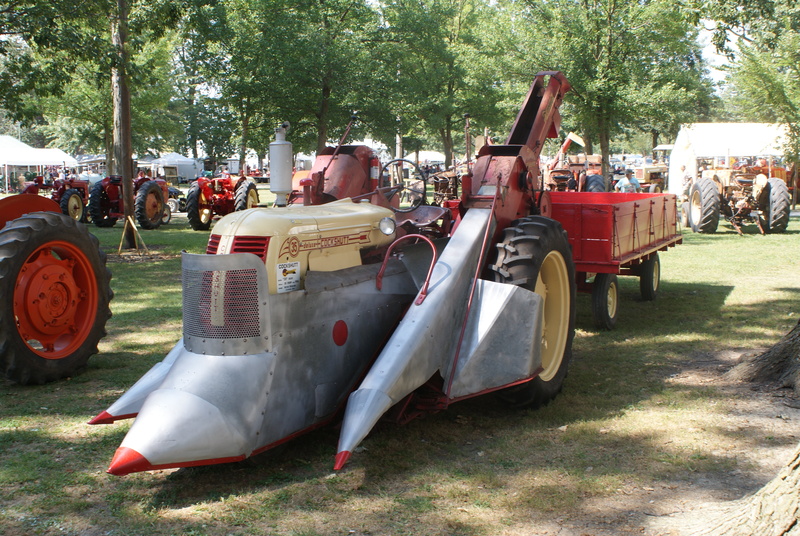 To find out about the Tri-State Gas Engine and Antique Tractor Association and their shows, log onto their website at http://www.tristategasenginetractor.com/index.php.